I have never been a sickly child aside from the occasional inflamed tonsils I have never been hospitalized in the last decade or as far as I can remember until this year. This year, I have done ECG's because while talking to staff I got a hard kick on my chest that really took the wind out of me. I had occassional bouts of migraine, diarhea, fever and yes inflamed tonsils. 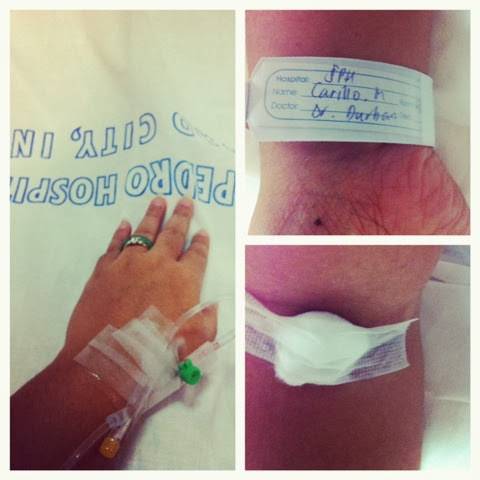 All hell broke loose when after a weekend at Samal Island with my cousins, I came back t the with a pain on my right side. The pain was so bad it made me cry. Now I'm already a cry baby but that pain felt like someone stabbing me and no amount of Advils can numb it. Unfortunately for me, I had a 3 day retreat for our 4th year class and thus had to endure the prprogression of chills, pain and fever. Now, if any of you has gone to a catholic school retreat you know how deliviouus their foods are and having no appetite for it all is a SIGH. It got so bad that the school doctor has ordered me to be picked up and sent to the hospital. I was prodded by each and every intern at the emergency room and was given a half dozen diagnosis until they gave up and just checked me in. They fed me antibiotics that cost a whooping thousand bucks per injection, 3 times a day on top of everything else. 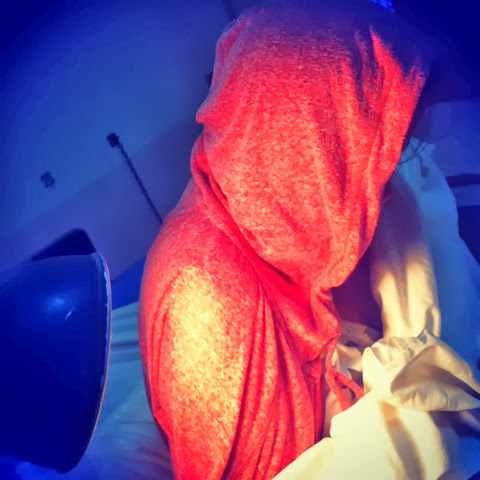 The chills got so bad that they had to put me under a heating lamp every 3 hours like a wet duck. In the end, I was there for 8 days and almost PHP 50,000 later. Why PhilHealth in the title you ask? Well, from the emergency room up until the day of discharge, people kept asking me if I have one. Well, I used to when I was an OFW as it was standard when getting an OEC but now that I'm a civilian well let's just say I've let that one slide and now we're paying for it. Big time. Thankfully, people love me enough to help out or visit me. So YAY! Lesson to be learned here? If you're living in the Philippines for an indefinite period of time, PAY YOUR damn PHILHEALTH!